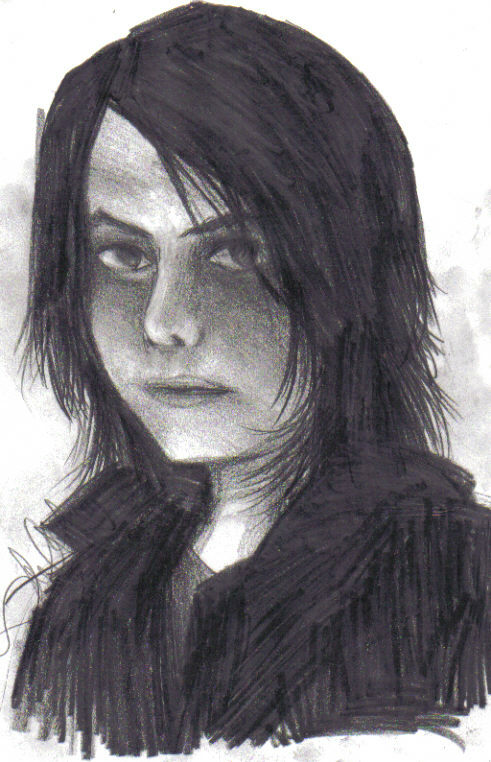 okay this is a badly drawn Gerard in my opinion. I drew it so fast in less than twenty minutes. But I like his hair, it was also very fun to draw. I think my other Gerard picture is more better tho. But I still somehow like this one! This McFreaking ROCKS! IT ROCKS, I TELL YA! Though, with a paler face, thinner noser and thinner cheeks I suppose Gerard could pass for Michael Jackson...LOL! This is going on my favs. *GASP! * a my chemical romance pic and i didnt comment yet?! wtf is wrong with me today? yu rule all sketch books and Gerard rules all cd players!